Our training division, AWS Centre of Excellence (AWS CE) was established in 2009 with a goal to engage workers and employers in metal fabrication and engineering industries, and make Australia world-leaders in these fields. 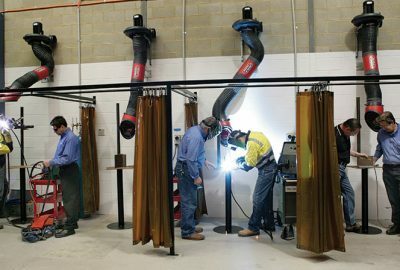 AWS CE works closely with the metal fabrication and Engineering Industries through Australian Welding Solutions and alliances with various companies. As a result, our Welding and In-Service Inspection students benefit from contemporary, hands-on experience that will give them skills to meet the needs of their industry, now and in the future. We are rigorous in our approach to continuous improvement, which ensures our programs are always at the highest industry standards.